There are a lot of choices out there for D&D miniature storage. If there’s one thing we gamers aren’t hurting for it’s ways to safely transport our models. So, below I’ll provide some cheap and easy ways to keep your models protected. I’ve included some simple foam trays, some carrying cases, and some complete setups (foam + case). Hopefully a good mix to every everyone’s needs. All of these ideas focus on keeping the models protected. By that I mean, I’m assuming the D&D miniatures are painted and you don’t want to chip or scratch them. I’ve seen people (literally) throw painted models into a box and call it a day. Nothing makes me cringe more than that. Your models deserve to be protected. If you take the time to protect your miniatures then they’ll last you a lifetime. I’m going to break the list down by company and in alphabetical order to make life easier. Chessex, best known for dice, also offers some small and affordable storage solutions. They offer a small storage box for 14 miniatures at a very affordable rate. The box size is 10.2 x 1.8 x 4.8 inches, so easy enough to stuff into your gaming bag. Chessex also has a larger storage box that holds up to 80 miniatures. That one measures 17.5 x 7.8 x 2.4 inches, so quite a bit bigger than the 14 box. You can also find quite a few in-between sizes as well. If you’re familiar with Warhammer 40K or Age of Sigmar then you’re aware of Citadel, which is the product line for Games Workshop. For D&D miniature storage, I would say most of the choices from Citadel are probably way more than needed. However, there is a Skirmish Figure Case by Citadel that’s a good size; it’s not too big. With the Skirmish carrying case you could probably fit around 60 models in it. Of course, that would depend on the size of the models too. The nice part with the case is that it’s a hard plastic, so it’s extremely durable. The foam is a sawtooth like design. The cool part about that is the models create the pressure needed to keep everything in place. It really is a great case, complete with foam, and at a reasonable price. You can also find my review of the Skirmish case as well if you want more of a breakdown. Now, the problem with this case for some may be that it’s branded Warhammer 40,000, and I get that. However, this case is a great size for most D&D players. This case comes with one of Games Workshop’s channel foam trays. The tray is designed to hug your models to keep them from moving around. 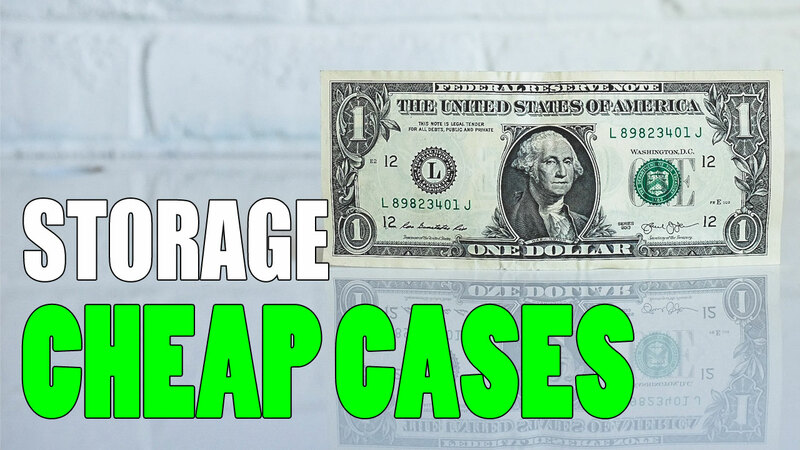 You’ll be able to get 20 miniatures into this case and all at a very low price. Battle Foam is a name most people recognize. The company has a huge offering, including custom cut trays. Now, Battle Foam is not cheap, but they make a really great product. They have laser cut trays and great bags to carry your D&D miniatures in. The only thing is that most of what they have to offer may be more than a typical D&D player needs for storage. 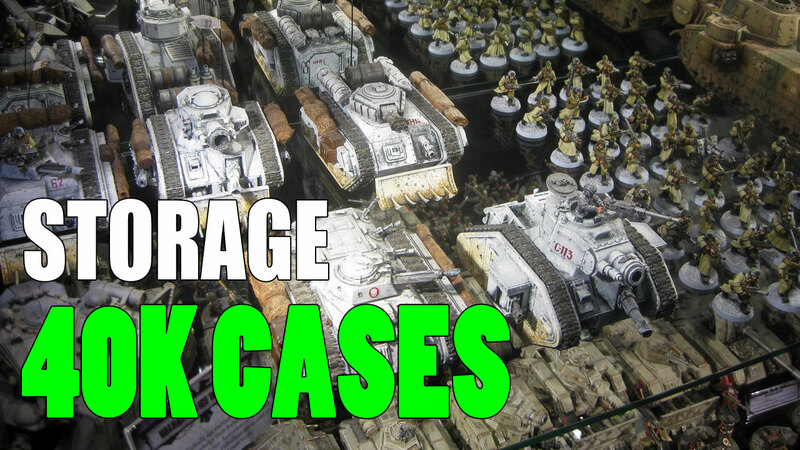 Battle Foam solutions are more geared towards wargamers (like Warhammer 40K), those needing to store 100+ models. Still, they do have some pluck foam, which you can customize as needed for your D&D miniatures. Battle Foam also offers Ammo Box, which is a carrying bag full of pluck foam. I realize this may still be bigger than some D&D players need, but then again it might be exactly what you’re after. Here’s a video showing off the bag. It really is a great bag for the price. So, ENHANCE has a great D&D travel bag. First up, this bag just looks great. Instead of being a box with a strap, this case has style and just looks professional. There is a compartment for storing your miniatures. It comes with one foam tray that holds 16 models. Below that is a book compartment for your Player Manuals, Monster Tomes, and DM Resource books. In front of all that is an accessory pocket for pencils, dice, notepads, etc. Oh, did I mention is has a loop on the front for carrying your battlemap? This bag is perfect for any D&D player, and while it’s a bit pricey, this bag is going to cover all your gaming night needs. There are quite a few options with Feldherr. They have a very comparable selection to Battle Foam. 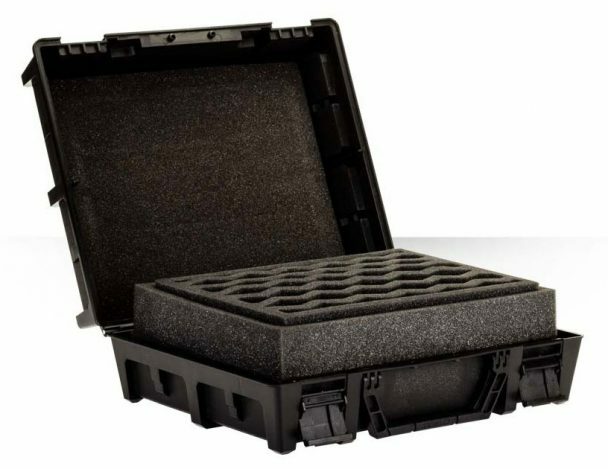 With Feldherr you can get some miniature foam trays, and you can also get complete storage solutions with case and trays. This MINI holds up to 32 miniatures and the price is extremely reasonable. The case size on this measures 7.1 x 2.4 x 14.8 inches, so definitely easy to carry around. Feldherr also has another MINI that holds 32 miniatures, plus it has room for larger models. This one is also at a great price for everything you’re getting. 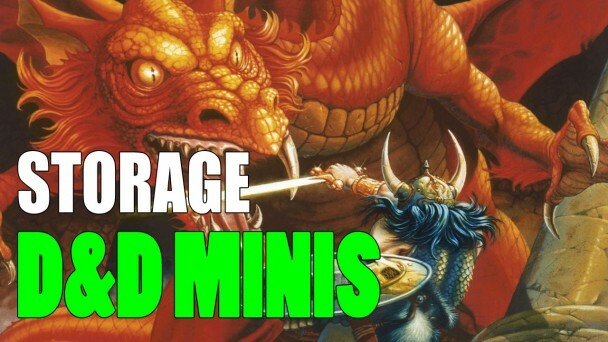 Honestly, these MINIs are great for any D&D player. Pretty basic offerings from Game Plus. You can get some pluck foam trays from them. They do also have some cool backpack style carrying cases as well. Of course, the backpack is the perfect size to carry around the pluck trays they have. The backpack may be more than you need but it is a very cool option to have. You could easily throw all your stuff in there (models, books, dice, etc.) and easily carry it all around. Prime Time Foam is another company with some modest offerings, though the prices are good. They do also have some pre-cut trays as well. The quality on their stuff seems very solid. This may be more than you need, but the prices aren’t bad. This isn’t the sexiest of cases either but it gets the job done, right? It only stands to reason that Reaper Miniatures would have their own transport case for D&D. This is a very simple transport case for D&D that’s 10.5 x 9.5 x 3 inches in size, making is small and portable. The case has a single layer of eggshell foam to place your miniature into. It’s nothing fancy, but you can’t beat the price. The last on the list, but certainly not the least. Sabol has been around seemingly forever. They have great quality products at reasonable prices. The big thing Sabol offers is pluck trays. They also have some great carrying cases as well. The original ArmyTransport is the smallest and most affordable option they have. They do also offer a huge bag called the Division, but that’s aimed more at transporting an entire army for wargaming. You can find quite a few options on the Sabol site. The site is dated, but it works. Also, I’ve got an article covering the various trays and bags Sabol has as well. You have quite a few options available to you for your D&D miniature storage. Also, you can explore more on pluck foam trays, which I think is perfect for Dungeons & Dragons honestly. I hope to have provided a decent mix of smaller storage ideas and larger ones for the major collectors. Ultimately, buy whatever suits your needs, just be sure to get something. Damaging models is never fun, especially if you’ve put hours into painting them. Keep your models safe, get a suitable carrying case and foam trays, and you’ll never regret it. If you have any D&D miniature storage solutions that I haven’t covered then please let me know in the comments.